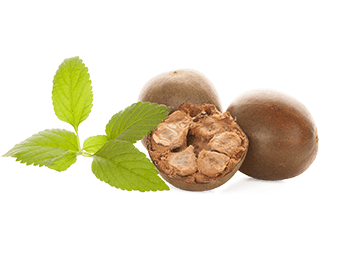 Lo Han Guo (Siraitia grosvenorii), also known as Monk Fruit, is a natural sweetener that contains no calories. It does not elevate insulin levels, raise cholesterol or leave a bitter after taste like sugar alcohol does. Substantial amounts of amino acids, mineral, vitamins and fructose are contained in Lo Han Guo.